More cotton candy clouds in a sunny sky. 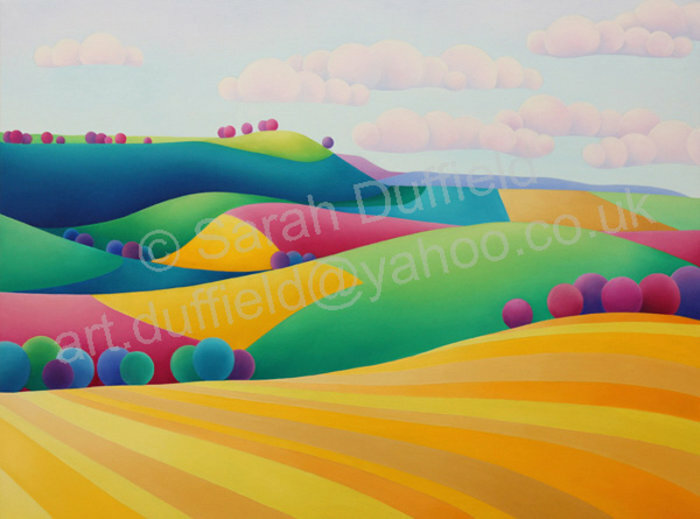 The yellow stripes in the front field lead the viewer into the painting and then over the field to Cissbury a well known South Downs landmark. 47 x 36 cm including border.